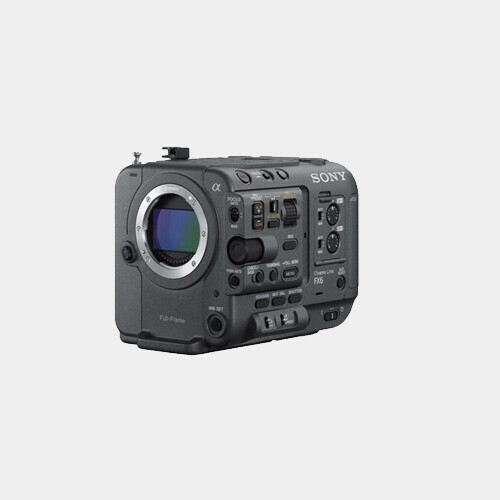 The Sony FDR-AX100 Full HD Camcorder brings 4K Ultra HD video to the palm of your hand, delivering resolution four times that of Full HD. The 1" Exmor R CMOS sensor is approximately 8x larger than that of typical camcorders, allowing you to capture cinematic images with shallow depth-of-field for defocused backgrounds. 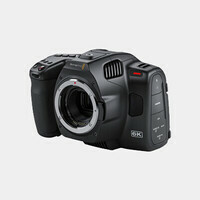 The camcorder features a wide-angle Zeiss Vario Sonnar T* lens with 12x optical zoom (29 to 348mm equivalent). 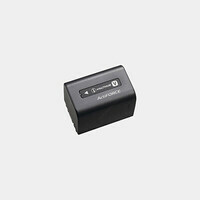 Optical SteadyShot image stabilization with Active Mode delivers smooth video, and 3-Way-Shake-Canceling adds electronic roll stability for even smoother results. The FDR-AX100 is a versatile camcorder that lets you capture 4K Ultra HD 3840x2160 video at 24 and 30 fps. You can also record Full HD 1920x1080 video in XAVC S, AVCHD, or web-optimized MP4, as well as take high-quality 20 MP still images. Frame your shots using either the large 3.5" XtraFine LCD touchscreen, or with the high-contrast 0.39" OLED EVF. 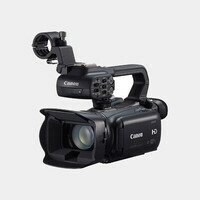 For connectivity, the camcorder provides a USB 2.0 port, Micro HDMI output, and a Composite Video output. Built-in Wi-Fi and NFC support lets you use your smartphone or tablet to control the camera, as well as wirelessly transfer files to your mobile device for sharing, and back up data on your computer.